“Brotox” is the new code word for BOTOX® in Men, and it’s catching on like wildfire! Male BOTOX; is becoming more and more popular nowadays, and pretty soon there will be just as many men walking around with refreshed relaxed eyes and brows as there are women.Dr. Nicholas Vendemia performs BOTOX for men in the New York metro area. We encourage you to contact us online or give Manhattan Aesthetic Surgery a call at 917-703-7069 to schedule a visit. Dr. Vendemia is a leading cosmetic surgeon in New York City with a reputation for custom care and attractive results. How Is BOTOX for Men Different from BOTOX for Women? It takes more BOTOX to do the job. Men have much more muscle mass in their foreheads and brows than women do, so it usually requires a larger amount of product to achieve a perfect amount of relaxation. 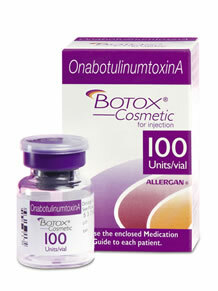 Women typically require 30-50 units of Botox, while men are usually in the 50-80 unit range. The ideal brow shape is different for a man. Brow shape is the KEY to natural looking BOTOX, and if the shape is off because of bad technique, the result will be less than ideal. Women’s brows should have a gentle arch that sits a few centimeters above the brow bone. Men’s brows should not have much of an arch, and should not sit much above the bone. A straighter, lower brow is more attractive for a man, and getting this look depends entirely on how your injector administers the BOTOX. Men require a more precise technique for best results. Just as we discussed in point #2 above, it takes a special eye and technique to give men the results they are after. Many inexperienced or unqualified injectors use the same technique on every person, men and women, who get BOTOX, and while this may sometimes lead to good results, it will not be consistent or appropriate for everyone. Ideal BOTOX results in both men and women require an elite level of knowledge of the anatomy of the forehead and brow muscles, a unique understanding of how they work together, an artistic eye that appreciates the subtle differences in brow shape between men and women, and a steady hand that is capable of putting the BOTOX precisely where it needs to be. Men have different hairlines which requires a slightly different injection pattern. Men often have much higher hairlines than women, and in some cases when men have shaved heads this is especially true. Sometimes it’s necessary to extend the Botox up onto the scalp for the most natural results depending on the hair style. This is never an issue with women, but is a very commonly missed technique in men. Another plus for extending BOTOX into the scalp is that it has been shown to slow the rate of hair loss in younger men who are going bald… click here for more info on BOTOX for hair loss. Brotox lasts an average of 4-6 months for most men, so it should be repeated 2-3 times a year for best results. The good new for BOTOX regulars is that studies show that those of you who keep up with their BOTOX injections for a period of about two years may end up requiring less BOTOX to get the same result after that amount of time. This is only true when you don’t miss doses though, so most of our clients will simply schedule an appointment every 4 months so they don’t have to think about it. If you would like more information about Brotox and Botox for Men, or if you would like to schedule a consultation, please contact us online or give Manhattan Aesthetic Surgery a call at 917-703-7069.